I hope you're having a good week and that all of you are safe and sound. First of all, my heart goes out to everyone involved in this week's events in Boston and in Texas. I'm lucky enough not to know first-hand what it feels like to be in either situation, or to have a loved one involved. I'm sure that even the deepest empathy or the most vivid imaginings fall short of how horrifying the reality is. I'm simultaneously shocked at how terrible some actions can be and at how selflessly others respond. Seeing the footage of runners in Boston putting their own lives in danger to try to save others, or continuing to run directly to hospitals to donate blood, is so encouraging. It pales in comparison the heroic efforts made by so many, but I'm sending out all of the positive, healing energy I can muster up. With no segue whatsoever (because really, how can one possibly segue from that to anything else? ), here's a peek into my life lately. My mom won a door prize at the opening of the Skirted Fleece Mill! She won a set of these adorable sheep stitch markers and a beautiful hand-thrown, hand-painted yarn bowl. Lucky for me, she doesn't knit. She also won a skein of handspun yarn, which I'll be knitting into a hat for her. 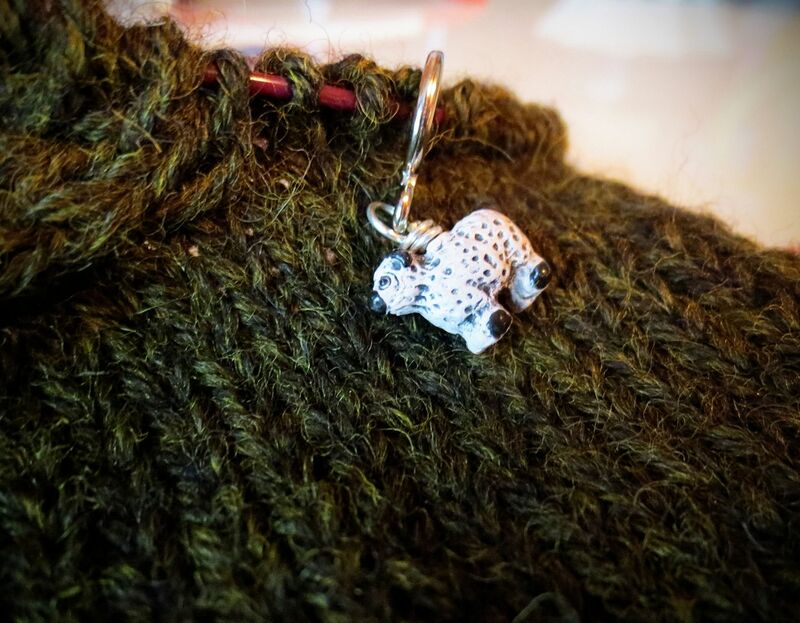 The stitch markers are currently on my very first sweater-- more about that soon! Here are the two adorable reasons why I never have room to stretch out to sleep. They take up the entire bottom half of the bed! 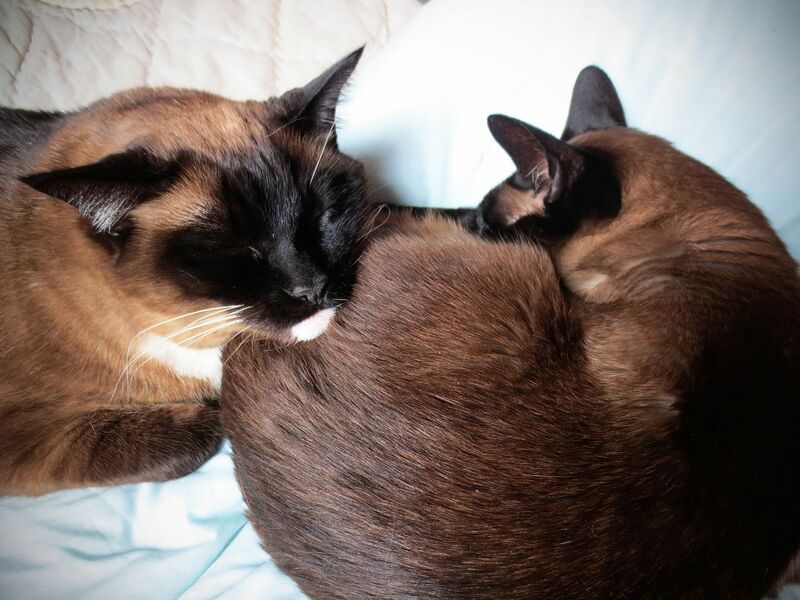 But they always look so cozy, I just can't bring myself to move them. These little guys have had a rough time this week-- more on that soon, too. They're back to their usual charming selves now, though. 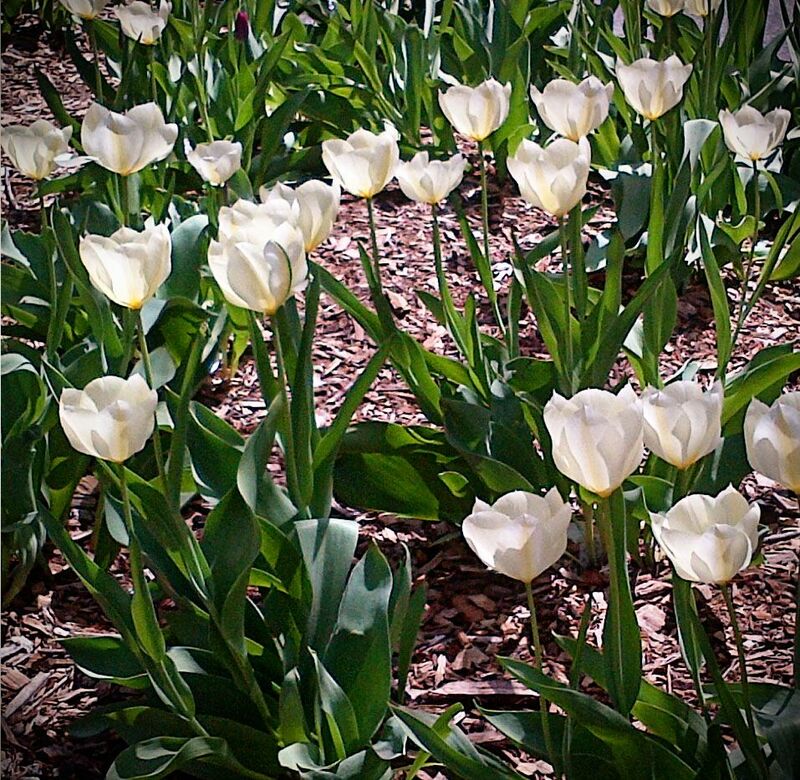 Tulips are blooming in Manhattan! It's such an amazing change to see the city go from cold and gray to balmy and green. 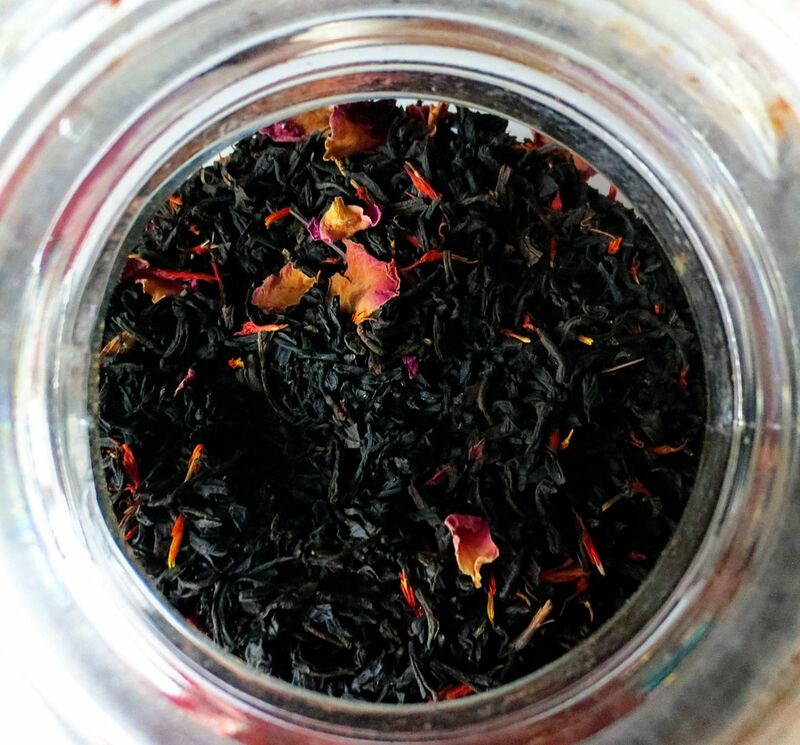 I just re-stocked my supply of my favorite tea ever, McNulty's Berry Creme black tea. It's delicious, and the dried rose petals make it beautiful to look at, too. I hope you have a beautiful, peaceful day.